Tyler Haines has been named head football coach at Urbana University. Haines, who has seven years of coaching experience at the NCAA Division II and III levels, becomes the 10th head coach in school history. A native of nearby Piqua, Haines returns home seeking to rejuvenate the Blue Knights’ program, which is trending upward with three winning seasons in the last four years. Haines comes to UU from Division II Indiana University of Pennsylvania (IUP) where he was offensive coordinator/quarterbacks coach for two seasons. Under his guidance, the Crimson Hawks’ offense averaged 31 points and 396 yards per game. Haines helped IUP collect 15 wins during his tenure, including a 9-2 mark and No. 24 national ranking during the 2013 campaign. Considered an elite recruiter, Haines hopes to bring several strong players from the Miami Valley to UU. Prior to his time at IUP, Haines spent five years at Division III Adrian College in Michigan. Haines was instrumental for the Bulldogs, helping the program win its first outright conference championship since 1983 while setting four single season records in 2012. In 2011, Haines led the Adrian offense to a school record 77 points in a win at Husson University and the Bulldogs ranked as high as 16th in the AFCA Division III national poll. Haines also had a very successful athletic career. A two-time first-team All-Heartland Conference linebacker, he lettered for three years at Defiance College, recording 143 tackles, 39 tackles-for-loss, 9.5 sacks and four interceptions after transferring from Division II Ashland University. Haines played a prominent part of a Yellow Jacket defense that finished fourth in the nation in total defense and led the HCAC in rushing defense and total defense in 2005 and 2006. Haines was a team captain in both his junior and senior seasons for Defiance and graduated in December 2006 with a bachelor’s degree in integrated social studies. A 2006 preseason All-American, Haines also garnered ESPN The Magazine Academic All-District honors and was named All-North Region at season’s end. 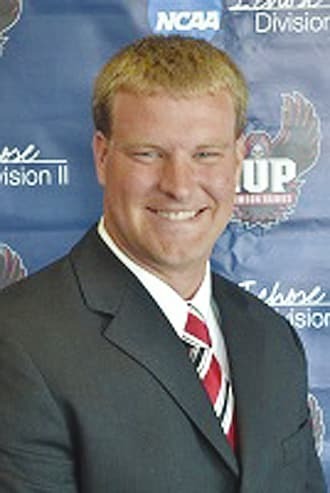 Haines started his coaching career in 2007 at his alma mater, Piqua High School, where he was a First Team All-Southwest Ohio linebacker and quarterback during his playing days. Tyler and his wife Logan have three daughters.